The kids and I started watching Peter Jackson’s Lord of the Rings trilogy this week, and they’re having a blast with it. 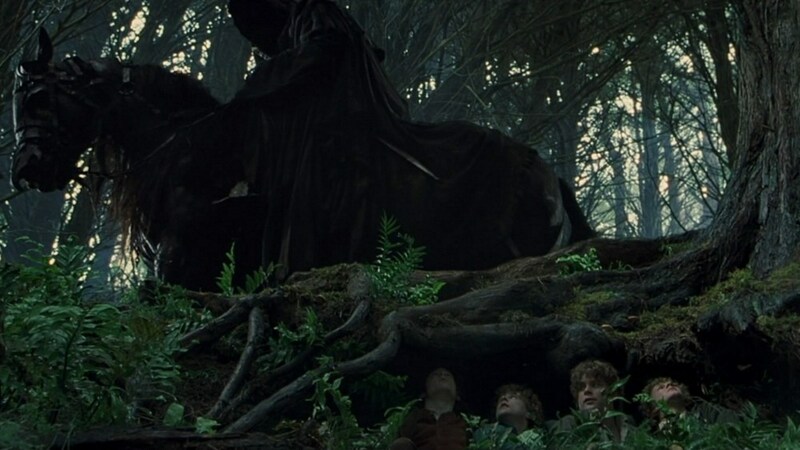 When I saw the shot of the Ring Wraiths filing into the tavern in the Fellowship of the Ring, I knew a GIF was not far behind. But more than that, the thing I personally love about the LOTR trilogy is how brilliantly it brings to life the 1970s fantasy aesthetic defined by artists and animators like Frank Frazetta and Ralph Bakshi. 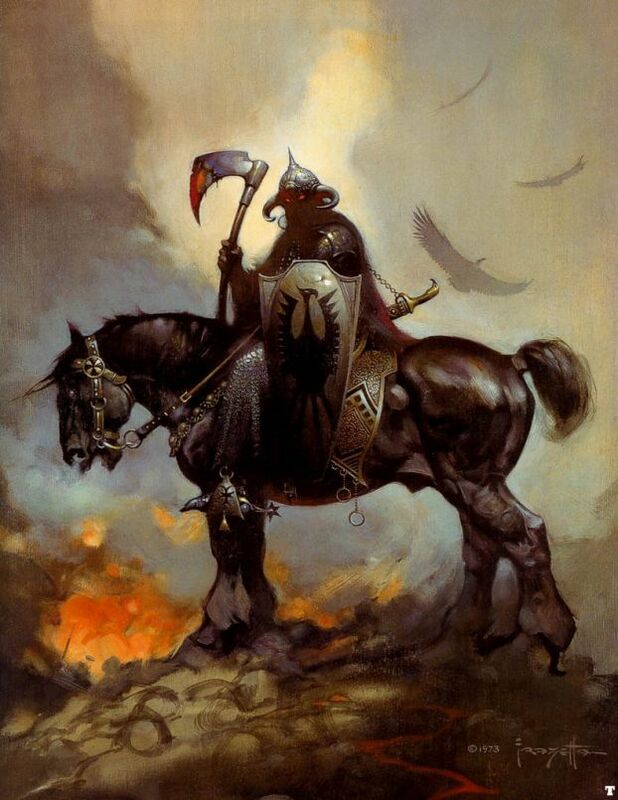 Frazetta actually illustrated a few scenes from Lord of the Rings, and Bakshi directed the 1978 animated film version of Tolkein’s books that I saw in the theatres, and which left an indelible impression on my imagination. 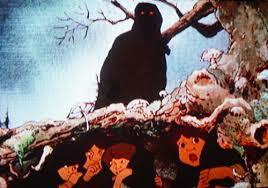 I mean check out the shot rom Bakshi’s film of the hobbits hiding from the wraith. And then compare it with Jackson’s shot of the same scene in his film. 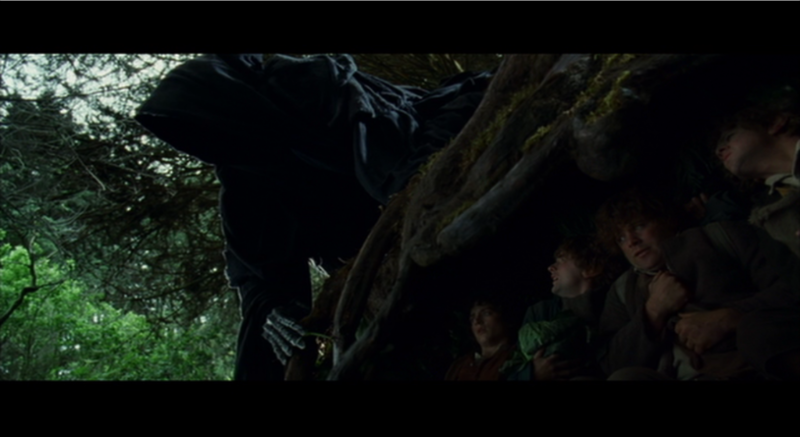 And as you look closely at the scene of the hobbits hiding beneath the tree as the ring wraith is trying to “sniff” them out, you also notice the imposing, larger than life narrative scenes of Frank Frazetta’s work, the most famous of which being “The Death Dealer 1” (which was a Molly Hatchet album cover as well as the mascot for a US Army III Corps) . This entry was posted in films, movies and tagged Frank Frazetta, Lord of the Rings, Ralph Bakshi, Ring Wraiths. Bookmark the permalink.